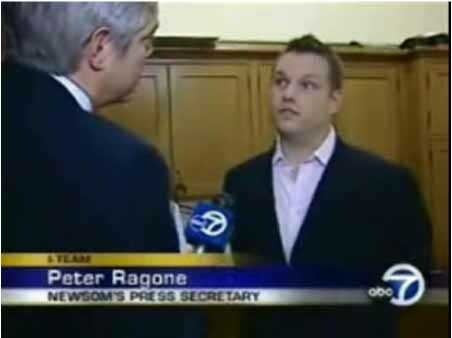 From SFist comes this interesting tidbit about the commenting habits of San Franciso Mayor Gavin Newsom's communications director, Peter Ragone. Apparently, SFist found some indications that Ragone had been using multiple aliases -- or sock puppets -- to comment on their blog, defending Newsom and blasting his critics. What Ragone did isn't illegal or anything, although you could argue that it's a little...underhanded. But now the San Francisco Board of Supervisors is suggesting that Newsom fire Ragone. Aaron Peskin, president, SF Board of Supervisors: "If I were mayor, he would not be working for me. There's no question about it.... It smacks of kind of Nixonian political trickery, and it's just not leaving a good taste really in anybody's mouth."